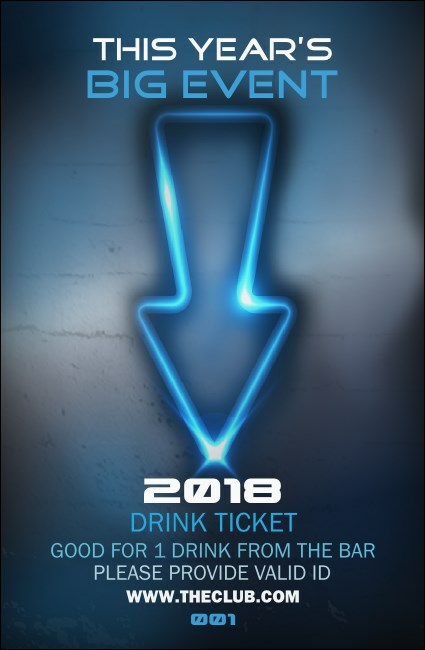 Encourage your guests to let loose and get their liquid groove on when you give them Night Club Neon Drink Tickets at your next exclusive event. These ticket templates feature a neon blue arrow lit up and pointing down to the ‘VIP lounge’ along with sequential numbering for event security that’s a cinch. TicketPrinting.com has the right ticket for the right night.